Camp Earth Connection(CEC) would like to invite you to a community fire & gathering on Friday afternoon, November 25th at CEC on Hammond Hill. We will have food, fire, shelter and community. Camp Earth Connection believes in the importance of diversity, acceptance and community – And right now I believe community time is really needed. You are welcome to arrive any time after 1. Camp Earth Connection is an alcohol and drug free facility – and gives people the opportunity to find peace and solace in the natural surroundings. Many of us may feel angry, frightened or even somewhat hopeless after this election with good reason. Clearly many folks are threatened by statements that were made regarding women, people of color, and other disenfranchised people. Also at stake is the progress many of us have been working on to address global warming. I have offered Camp Earth Connection as a gathering place to find support, connection, hope and direction. 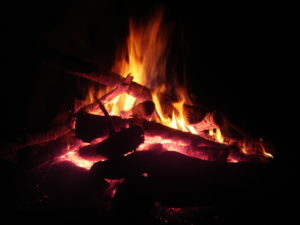 Food & hot beverages will be provided as well as campfires (as many as needed to stay warm.) Bring a mug if you can. Please feel free to bring food to share – though this is not required. There may be guided trail walks, meditations, and talking circles available throughout the day. The focus of this day is intended to be one of connection and community. The discussions are intended to help people discover what their next steps might be to move through any fear or anger – and towards determining actions we can each take to move us forward as individuals and community. Please dress for the weather. There will be fires to stay warm, and shelters to cover us from snow and rain – but they are not enclosed so we will be out in nature.